In Maine, being licensed by the Department of Agriculture to process dairy products — from fluid milk to cheese and butter and ice cream — means that a Dairy Inspector has toured a producers facility and approved their space, equipment, and process as meeting State and Federal regulations for the products that they wish to sell to the public. ten (10) product tests are provided each year for samples picked up by the dairy inspector and processed by the Maine Dairy Lab in Augusta. If sent to a commercial laboratory each of the water and/or product tests provided to the licensed dairy processor can cost between $30 and $50. Dairy consulting visits (the equivalent of a dairy inspection) can cost $500 to $1000 a day plus travel expenses. 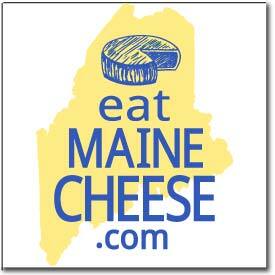 Currently, in Maine, a dairy processing license will cost $25 at the lowest product volume level. In practice, the dairy inspector is working for the licensed dairy processor, and if issues are detected during routine testing the dairy processor is not left alone to address them. The inspectors are committed to helping the dairy processor solve the problem(s) using any and all resources available in the public and private sector, to insure that Maine consumers will have the best quality dairy products available to them.